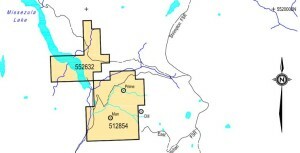 The Man-Prime property is located 34 Kilometres north of Princeton, British Columbia and is of copper-gold alkali porphyry mineralization. The property adjoins the Dil property being explored by Fjordland Exploration. Candorado Operating Company Ltd. acquired a 100% interest in the property pursuant to an option agreement with the company. Candorado changed its name to Sunrise Resources and is currently exploring the property. The company retains a 1.25% Net Smelter Royalty which can be purchased by Sunrise at any time prior to the beginning of commercial production for $1,250,000.